Many of your instructors may use essential oils during class, wouldn't it be fun to learn more about why they use them and what these essentials oils can do on the physical and emotional side for your body? This workshop will focus on finding a state of balance in our bodies. It will include a gentle vinyasa flow that is focused on movement and breath. To help support the body's system to function optimally, we layer eight essential oils, and blends in response to stress, increased toxin levels, inflammation and autonomic nervous system imbalance. Paired with your yoga practice the oils help the body and mind move toward a holistic state of being. 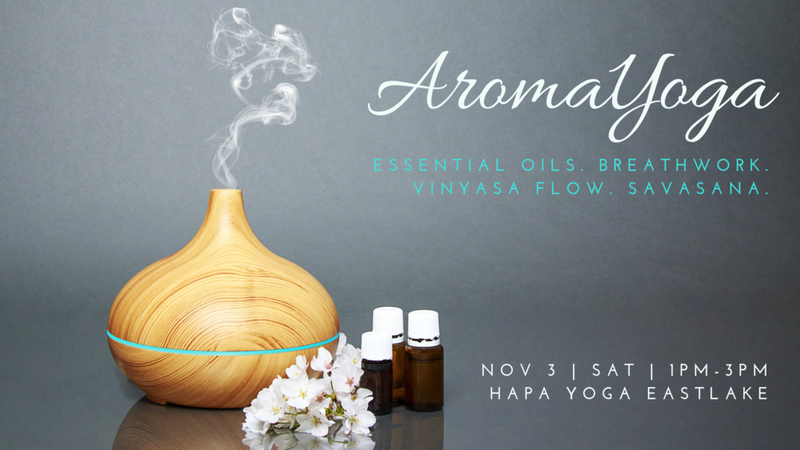 Come learn more about essential oils and see how they can enhance your yoga practice!